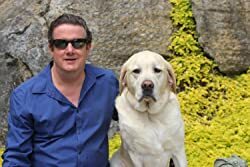 Bob Mayer is a NY Times Bestselling author, graduate of West Point, former Green Beret (including commanding an A-Team) and the feeder of two Yellow Labs, most famously Cool Gus. Born in the Bronx, having traveled the world (usually not tourist spots), he now lives peacefully with his wife, and said labs, at Write on the River, TN. Please enter your email address and click the Follow button to follow Bob Mayer! Survive Now Thrive Later: The Pocket Sized Survival Manual You Must Have. Stuff Doesn't Just Happen II: The Gift of Failure: Challenger, Czar, Sultana, Mulholland , Kursk, Pearl Harbor, Alive!